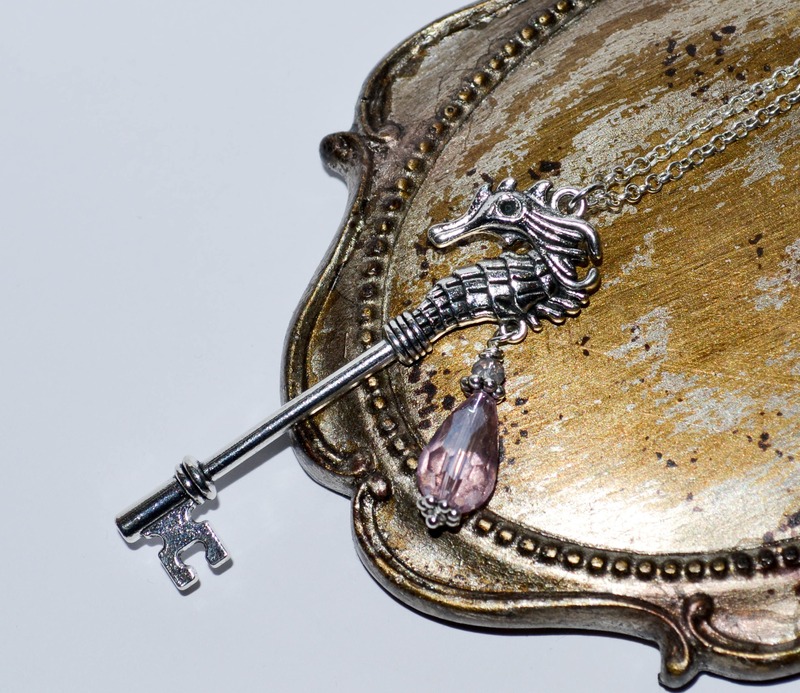 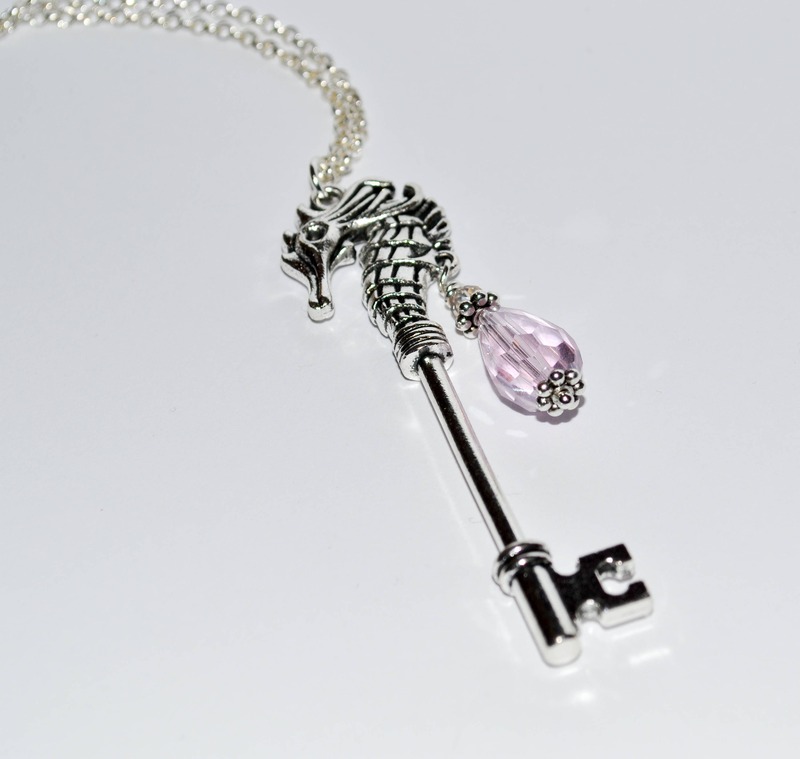 This super-pretty pendant is a big key charm with a detailed seahorse head - I have added a dangle of a gorgeous baby pink faceted teardrop crystal, a small crystal bead and little silver flower spacers. 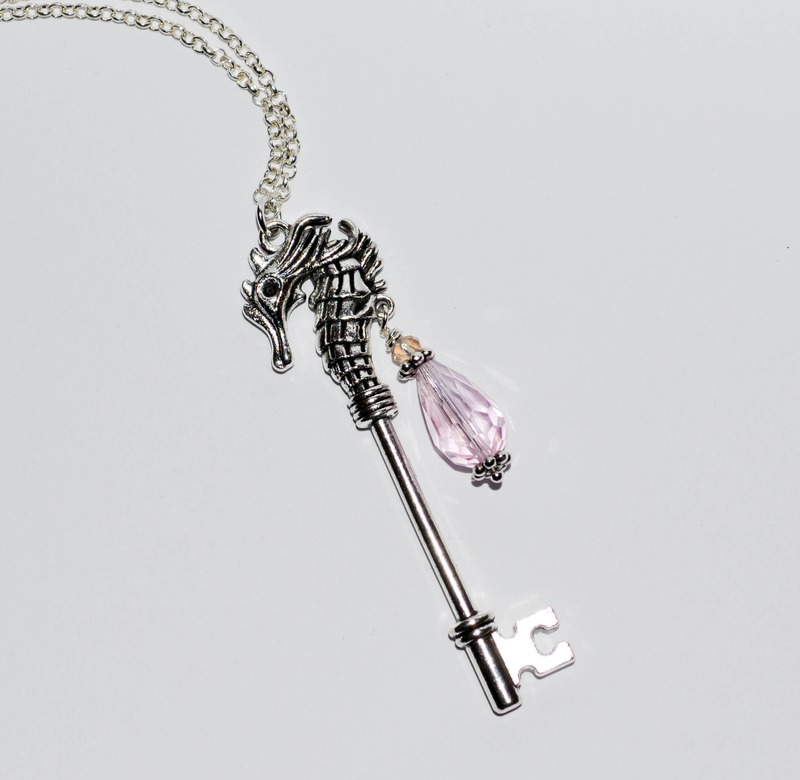 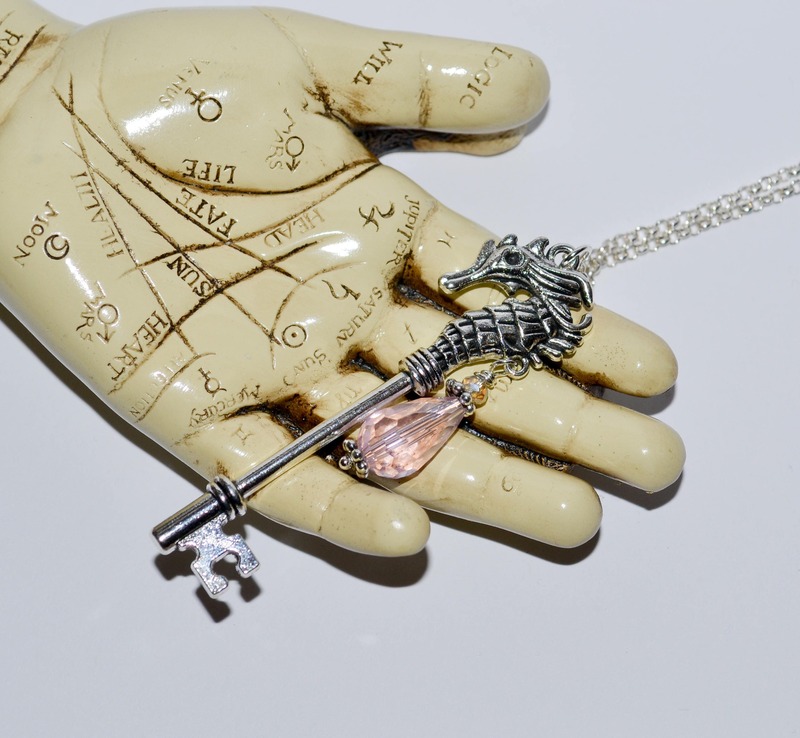 The key measures an impressive 2.75"/7cm long, and it is suspended from a silver plated rolo link chain which fastens with a lobster claw clasp. 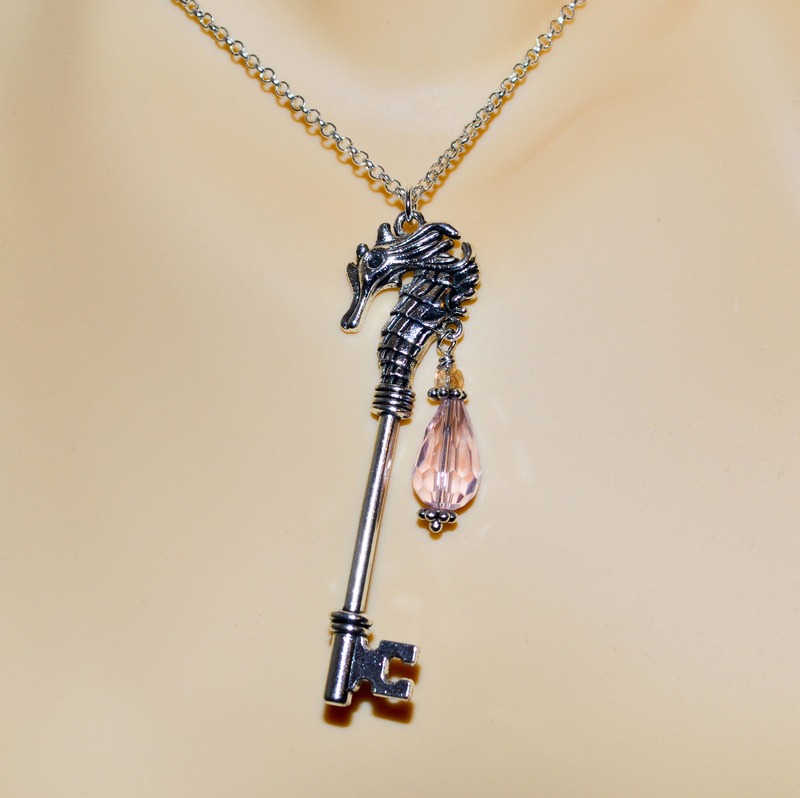 Please choose your preferred length from the drop down menu, or contact me for a custom size.